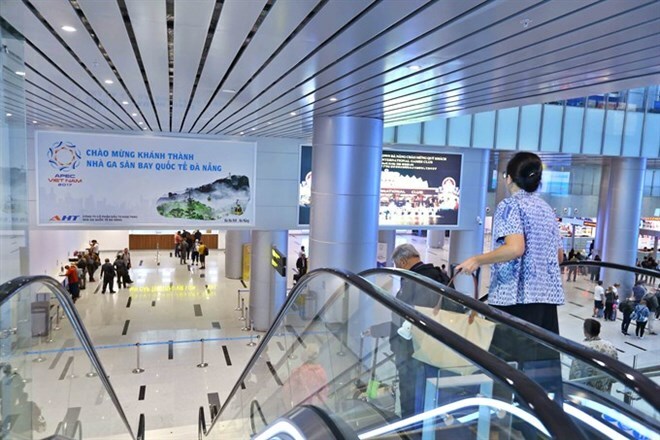 A new terminal was opened at Da Nang international Airport to host the increasing number of tourists visiting the city. Director of Da Nang International Airport Administration, Le Xuan Tung, said the two sides had agreed to host two chartered flights between Da Nang and Nagoya in May and August of 2019 as part of a promotion programme to soon launch a daily direct flight in the fourth quarter. Tung said the two airport authorities would ink a Memorandum of Understanding (MoU) during an investment and tourism promotion event in Nagoya on February 20. He said Chubu Centrair airport – which is one of the eight largest airports in Japan, has a similar capacity to the Da Nang airport as it hosted 11.5 million tourists in 2017, and the national flag carrier Vietnam Airlines had operated four chartered flights between Da Nang and Nagoya in 2018 as a prelude to launching a regular air route. Tung said the operation of the direct flight aimed to boost investment, trade and tourism between the central city and Nagoya and other Japanese cities. Da Nang is home to 143 Japanese projects with total investment of 500 million USD, creating 32,000 jobs for local and neighbouring provinces. Japanese visitors were the second largest tourist segment in Da Nang last year, reaching more than 400,000 – 10 times as many as in 2013. Vietnam Airlines is currently the largest airline with direct routes between Vietnam and Japan, with an average of 70 flights per week. Since its first flight in 1994, the carrier has so far transported 11.3 million passengers, accounting for 65 percent of the market. It helped link major cities in Vietnam including Hanoi, HCM City and Da Nang with Japan’s big cities such as Tokyo, Osaka, Nagoya and Fukuoka.